Christianity made a late appearance in Himachal Pradesh, after the arrival of the British. The churches here are not more than 150 years old. Tall churches-the relics of the Raj, are to be found mainly in the small hill stations that the British created as summer retreats. KASAULI:Still unspoiled and very much as the British left it fifty years ago, Kasauli (Solan) has a fine old church. The Christ Church, is a typically Anglican structure of the period. Its foundation stone was laid in 1844. Well proportioned, its spires, buttresses and gothic arches are framed against the stately deodars. 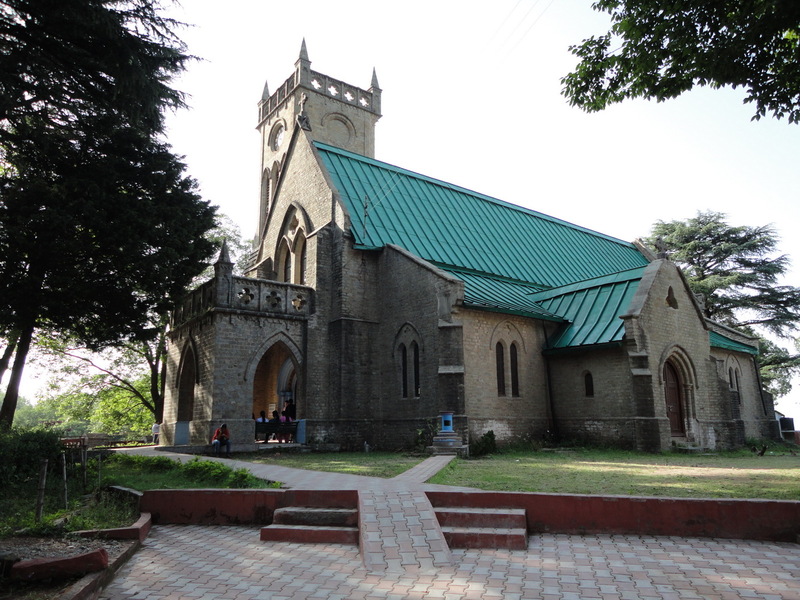 SHIMLA: The Christ Church, with its tall spire dominates the ridge in Shimla. This imposing structure is visible from as far away as Tara Devi, 8 km away. 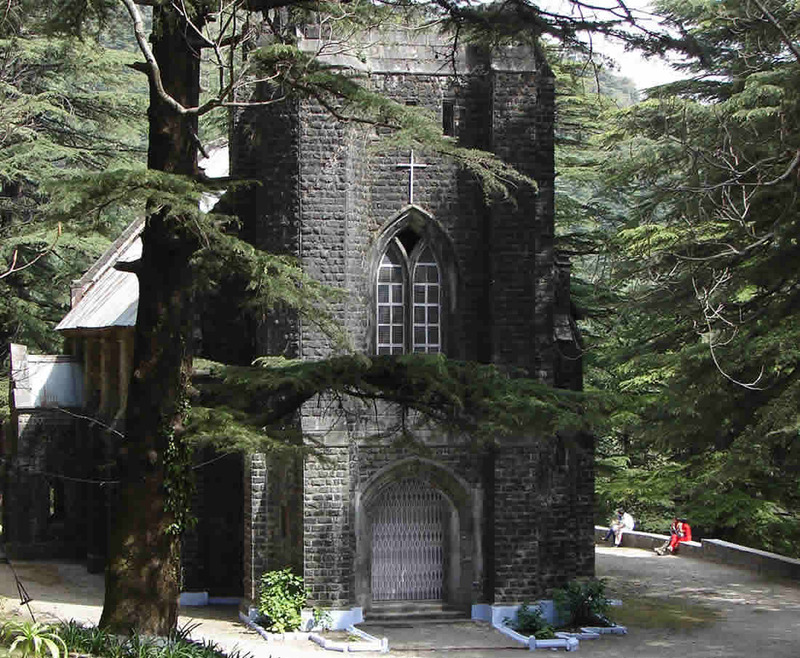 It was built in 1844, when Shimla was slowly coming into its own as the premier hill station of India., the Christ Church was designed to accommodate the entire Shimla congregation. Various memorials and stained glass windows fill the somber interior with colour and light. 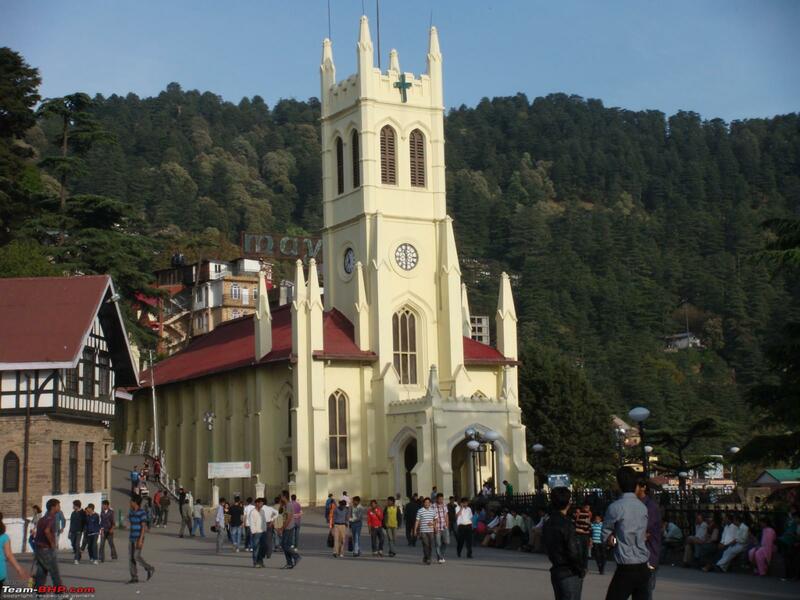 The first Catholic edifice of Shimla, St. Michael’s Church, was built in 1850, at the western end of the Lower Bazaar. Later additions have made it an unusual piece of architecture. Inside the church are five marble altars, all brought from Italy in 1855 and fine stained glass windows. DHARAMSHALA: The stone church of St. John lies on a motorable road between Mcleodganj and Forsyteganj 8 Km from Lower Dharamshala (Kangra). It has a monument of Lord Elgin, one of the viceroys of India, who died in Dharamshala and was buried here. DALHOUSIE: Dalhosie (Chamba) is another hill station with a number of old churches. The church near the G.P.O. looks untouched by time. It has an angular roof of inter-leafed hexagonal slates. The Catholic church of St. Francis, built in 1894, is set against a backdrop of tall pines overlooking the Subash Chowk.